Social Innovation Fund Ireland and law firm Mason Hayes & Curran, on 27th June 2017 announced their first four awardees of the 2017 Engage and Educate Fund. The Fund was set up to support local projects that empower people through education to achieve their full potential and to contribute to their communities. The awardees were selected based on their commitment to these values and will share €150,000 to develop their community projects. They will receive a cash grant, as well as invaluable non-financial supports such as assistance with growth planning from a business consultant. 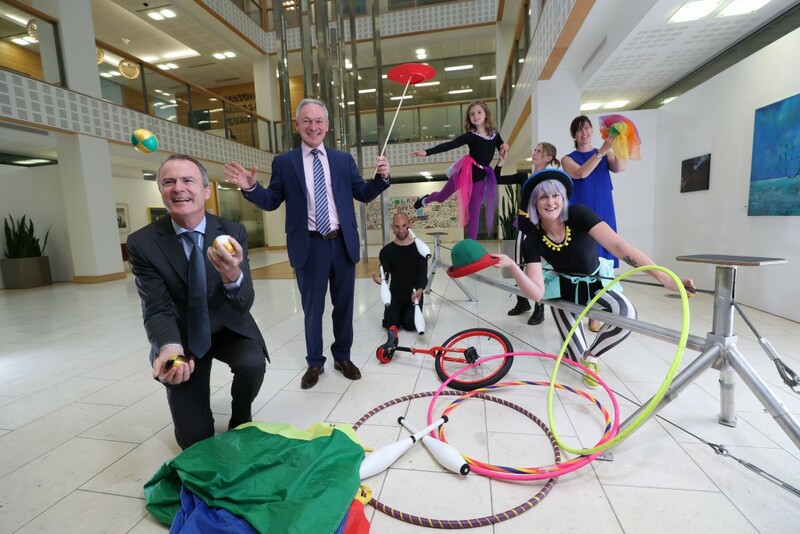 he 2017 awardees are Ready Steady Circus, a ten-week programme that uses circus arts as an alternative method of education for students in DEIS schools; Pieta House Resilience Academy, a six-week school-based programme that builds skills in resilience with second year students at secondary school; Intercultural Language Service, a flexible language learning experience that promotes social inclusion amongst migrants within their communities; and Blossom Gateway, a programme that supports people with intellectual disabilities to transition from second level education to the workplace or third level education. Speaking about the Fund and the partnership with SIFI, Declan Black, Managing Partner of Mason Hayes & Curran said: “We were inspired to create the Engage and Educate Fund with Social Innovation Fund Ireland through our shared belief that improved access to education can have a positive impact on life outcomes. At Mason Hayes & Curran we have long supported the provision of educational opportunity, particularly to those from disadvantaged socioeconomic backgrounds, and it is through this that we have seen first-hand the difference that access to support and resources can make in local communities. The calibre of applications from projects around the country this year was outstanding and I would like to congratulate all of the applicants, as well as our four awardees, for the on-going work that they are doing in their own communities to empower people through education.